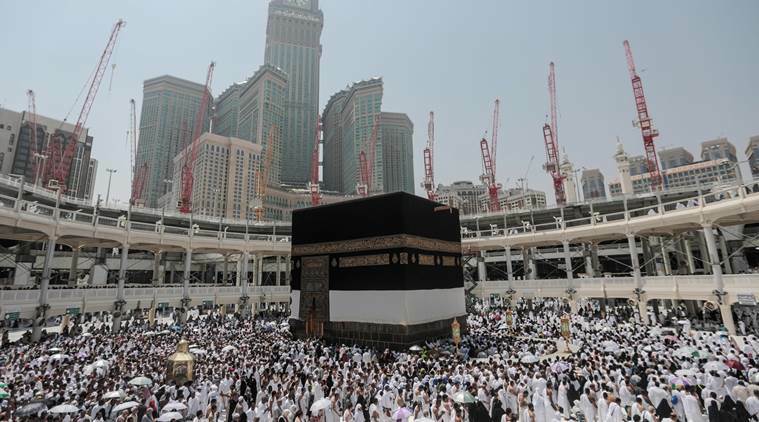 Two Indian nationals from Vadodara were detained by the Saudi Arabia police Friday for posing and taking pictures with the Indian Flag inside the Haram in Mecca. While 12-year-old Uzair Ali was released immediately after the intervention of the Consulate General of India in Jeddah, his father Imitiaz Ali Saiyed (45) was freed on Saturday. Imitiaz, a manager at an optical shop at Old Padra Road, is a resident of Tandalja area of the city. He had left for Mecca along with his wife and two children on Monday. On Friday, he was detained by the Saudi Arabia police for taking a picture of his son along with the Indian tri-colour. Zuber Goplani, National Executive Council member of the All India Muslim Majlis-e- Mushawrat’s, Gujarat Chapter in a series of tweets to the External Affairs Minister Sushma Swaraj, Gujarat Chief Minister’s Office, Prime Minister’s office and the Consulate General for India in Jeddah, had apprised them of the situation and sought their help and intervention into the matter.